According to reports in South America, Brazilian giants Flamengo are set to join the transfer race for Paris Saint-Germain forward Ezequiel Lavezzi. The Argentine striker has seen his options severely limited at the Parc des Princes following the summer arrival of his compatriot Angel Di Maria from Manchester United, and as such, has been tipped for a move away from the French capital. He has no shortage of admirers, with Liverpool, Barcelona [both Daily Star] and Juventus [Goal] each having been tipped to seek to bring him to England, Spain and Italy respectively. However, Globoesporte [as per Goal], Flamengo fancy their chances and have made contact with the player’s representatives as they attempt to bring him back to South America. It remains to be seen whether this news will prompt Jurgen Klopp to intensify any efforts on the part of Liverpool to bring the forward to Anfield. 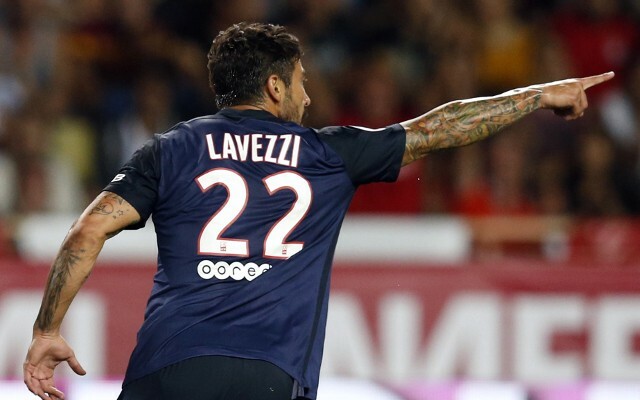 Lavezzi is a versatile operator who can play on either flank and through the middle. While he is already 30, his pace has not diminished, and he possesses the intelligence to be a fluid component to Klopp’s forward line, or a menacing option off the bench. Lavezzi has managed only two goals in 14 Ligue 1 outings this season, compared to eight in 30 during the entirety of last season’s league campaign.